Now I would like to share my success story of SBI PO with all of you. 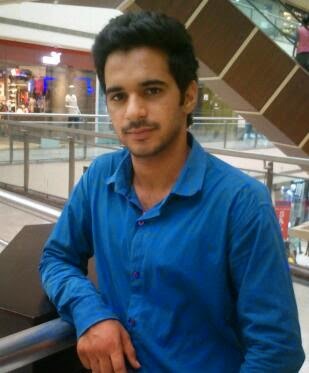 I am Ravi Pargar from Sirsa distt. Of Haryana. I have been an average student in school and college. I am Engineer by profession. I completed B.tech in 2013 (Electronics & Comm.) with 71%. My father is Doctor + Farmer. We live in a village. By the time I completed graduation it was very tough task for average student like me to get a job in electronics field. All the jobs, which came across were of software companies and I don’t know much about C, C++ or Java etc. Then I decided to give a try to govt. job and first thing came to my mind was Public Sector Banks. So I joined a local coaching centre since I do not have any idea about banking. After 3 months I came to know about Bankers Adda. I can’t thank BA enough for the fantastic job they are doing. Every post on BA helped me a lot in preparation.Then I joined Career Power Institute at Rajendra Place (New Delhi) & been there for 2 months. My first exam was of RRB PO 2013 and I cracked it and I receive Interview call from Haryana Gramin Bank. But I was not allowed to give interview because of Cut-off date for Graduation. As cut-off date was 1 July 2013 and my graduation was completed on 6 July 2013. My second exam was of IBPS PO-3 and I got 93 (cut-off=61), bad luck came across again and they did not allow me to give interview because of the same issue. Then I appeared in IBPS Clerk-3, I cracked it as well and got 133 (cut-off=102), importantly I was eligible for interview this time. I appeared and I was so bad in interview, Panel did not even give me passing marks and I failed. After this incident, I was depressed. After 4-5 days SBI PO Notification was out and I started preparing again.1st day 1st Show Appearance in exam, and I was +ve about result and as it came. I started preparing for GD/PI. I again joined Career Power for GD/PI. I appeared for interview In SBI LHO Chandīgarh. I was very nervous that day. My GD was not good (GD topic- Coal Allocation , Criticise it) and Interview was average. After this I waited for results and in-between gave exams like RBI Assistant, IBPS PO, RRB PO, SBI Clerk and cracked all of them. And Finally Happiest day of my life came, Saw my roll number and I was over the moon. Finally, there was no more bad luck at all. All the best to future aspirants. Remember there is only one shortcut and that is Practise. There is no other shortcut. Bankersadda team, without your help , it wouldn’t have been possible.Thank You all from bottom of my heart. pls. post the question asked at interview session...we don't want story here...mr xyz whatsoever u r...????? itni khamoshi kyu ha yaha !! !